You don't need to spend countless hours perusing your typical online sources when you have this! Stay informed today by becoming an AARS member and receiving the Hot Topics! LEO Pharma to expand its lead in medical dermatology with acquisition of Bayer’s prescription dermatology unit. Link between diet and skin disease takes center stage at summer AAD. BioPharmX: FDA grants CARC waiver; Post-hoc analysis for BPX-01 complete. Target site pharmacokinetics of doxycycline for rosacea in healthy volunteers is independent of food-effect (PI Markus Zeitlinger). Evaluation of long-term efficacy, safety, and effect on life quality of pulsed dye laser in rosacea patients. Topical photodynamic therapy with 5-aminolevulinic acid in Chinese patients with rosacea. Brimonidine tartrate gel plus topical steroid for the prevention of laser therapy-related postinflammatory hyperpigmentation. Biofilm production and antibiotic susceptibility of staphylococcus epidermidis strains from hidradenitis suppurativa lesions. Effect of a botanical cleansing lotion on skin sebum and erythema of the face: A randomized controlled blinded half-side comparison. Oral isotretinoin for the treatment of Aripiprazol-induced acneiform rash. An evaluation of peripapillar choroidal thickness in patients receiving systemic isotretinoin treatment. Reliability of the hidradenitis suppurativa clinical response in the assessment of patients with hidradenitis suppurativa. Chemical peels in the treatment of acne: patient selection and perspectives. Spironolactone effectively treats acne in adolescent females. Antiandrogen therapy with spironolactone for the treatment of hidradenitis suppurativa. Current and future treatment of hidradenitis suppurativa. The practice of compounding, associated compounding regulations, and the impact on dermatologists. What Health-related Quality of Life Factors Influence the Decision of Patients with Acne to Visit a Dermatologist? 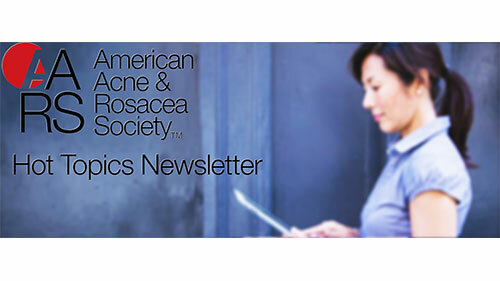 © 2019 American Acne and Rosacea Society: All Rights Reserved.